Hi I want to prepare for the Head Constable recruitment for the Indo-Tibetan Border Police so can you tell me that is there any recruitment going on?? 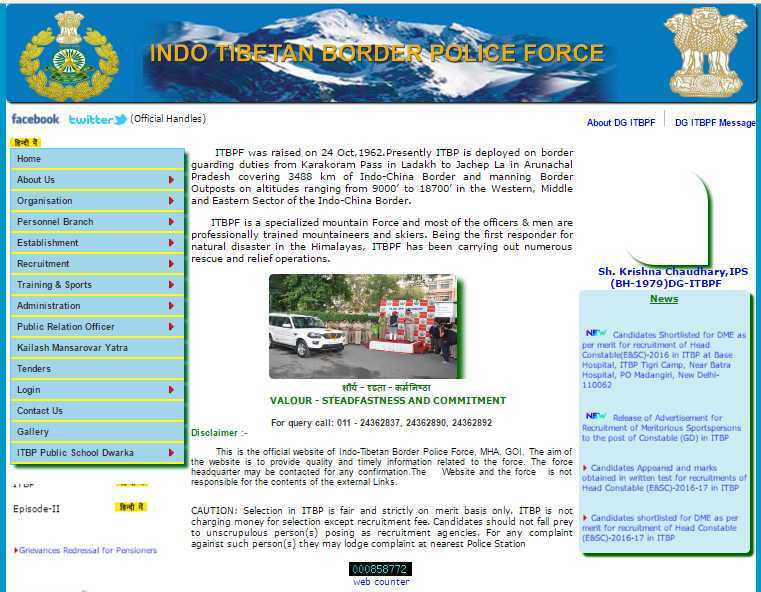 Well the Indo-Tibetan Border Police is a Force synonym to adventure. Serving in such a Force is dare-devilish as well as challenging. i) Dictation -10 minutes @ 80 words per minute (English or Hindi). ii) Transcription-	50 minutes in English on computer; or 65 minutes in Hindi on computer. Applicants found eligible in documentation will be screened for height, chest and weight measurements by the board. Those who do not meet the required physical measurements will be eliminated at this stage.